Surroundings are ever present, and bringing them to light were the artists at Index Art Center in the show of the same name “surroundings”. 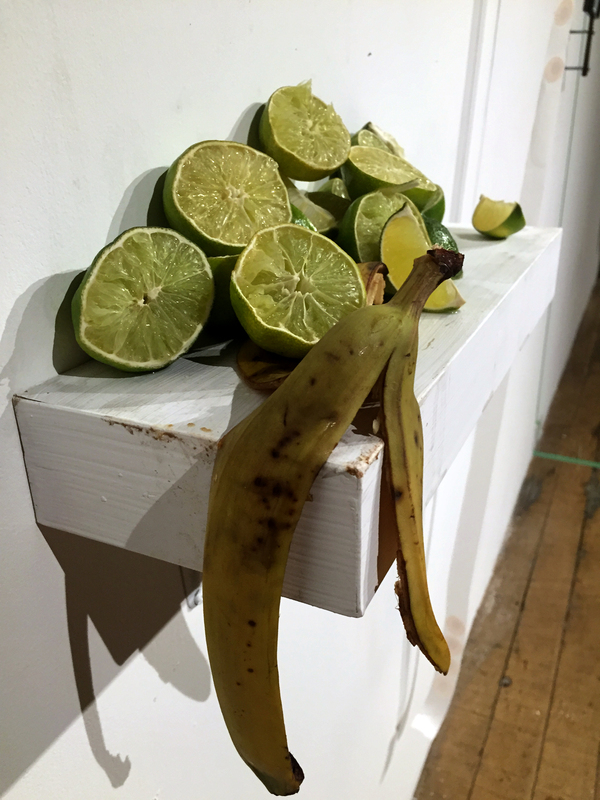 The works served as little moments unto themselves, however singular, these moments were delightful in organic dystrophy–opening night the limes from Dana Michelle Hemes’ piece “Drosophilia” were fresh; by day 4, the fruit flies had begun to thrive–ever-present in their chaotic breeding. Other moments such as “Hatching Fire” by Ryan Edward Henion were of past discord. 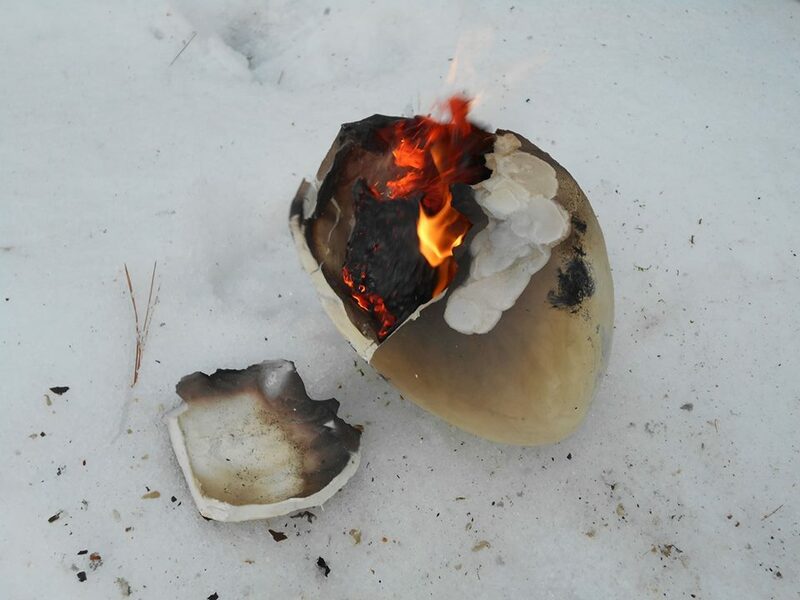 This piece presented fire as a most fanciful creature to be birthed from within eggs and from within wood. Living in a city, I cannot relate most of these pieces to my surroundings. These moments become accents from other’s experiences and shared in the gallery for the viewer to explore. The works were very different in material, but all focused on attempting to make the viewer aware of ever-changing environments. Artists: Ted Victoria, Sophia Sobers, Dana Hemes, Leonor Marion-Landais, Ryan Edward Henion, William Oliwa.